St George’s Castle, a Unesco heritage site, was built as a trading post by the Portuguese in 1482, and captured by the Dutch in 1637. It was expanded when slaves replaced gold as the major object of commerce, with storerooms converted into dungeons. 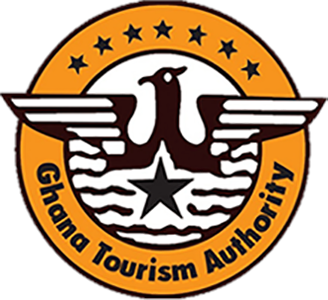 The informative tour (included in the entry fee) takes you to the grim dungeons, punishment cells, Door of No Return and the turret room where the British imprisoned the Ashanti king, Prempeh I, for four years. 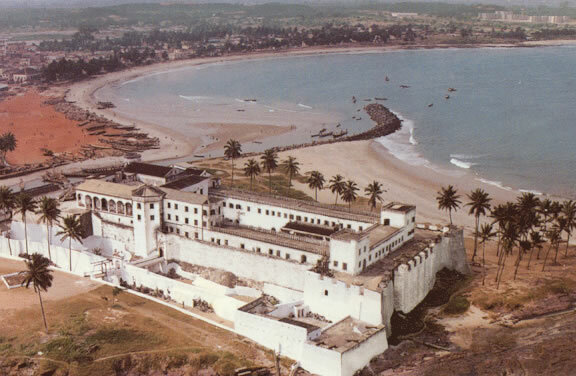 Elmina Castle was the first trading post built on the Gulf of Guinea, so is the oldest European building in existence in suib-Saharan Africa. 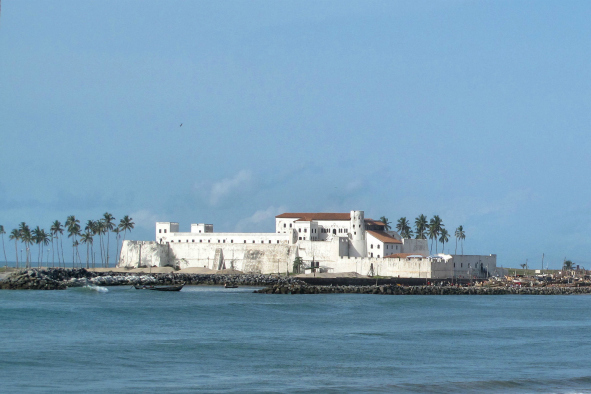 Elmina is also a picturesque fishing town along Ghana’s coast, not far from Cape Coast. 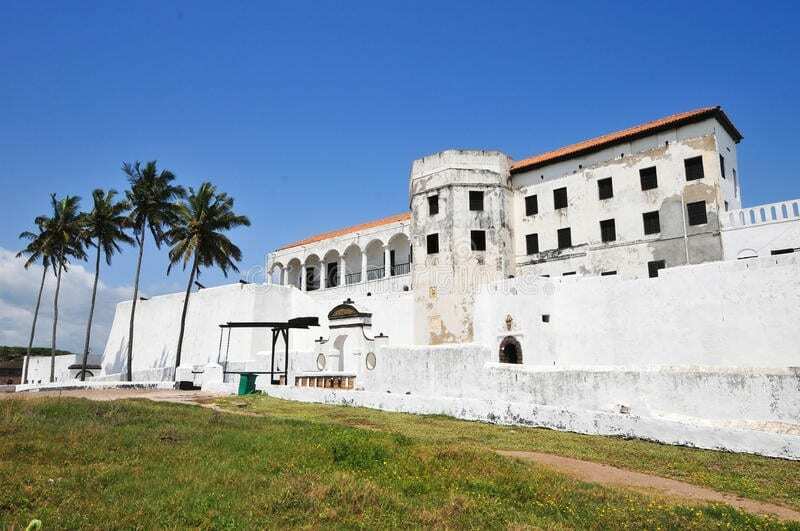 It is home to one of Ghana’s biggest attractions, St George’s Castle. Built by the Portuguese in 1482, it was captured by the Dutch 150 years later and became the headquarters of their West Indies Company for the following 250 years. Gold exports were soon replaced by slaves and the tours through the dungeons will give you a good idea of how gruesome a trade it was. The Castle houses a small museum and guided tours are available. The stark beauty of the white-washed Castle walls contrast deeply with the dark history of this place. Fort St Jago lies across the lagoon from the castle, and is worth visiting for the views it offers of the town and Castle. 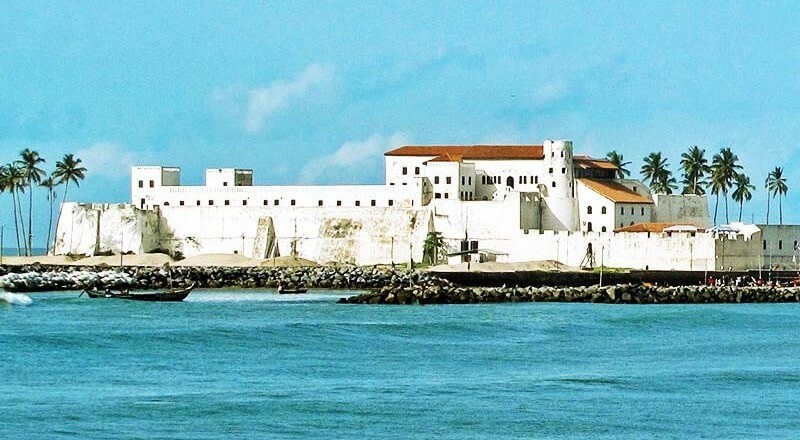 Renowned as the first major European construction in tropical Africa, St. George’s Castle, in the town of Elmina in the Central Region of Ghana, was founded by the Portuguese in 1482. The site of the Castle was selected by Portuguese navigators, as it was advantageously located at the end of a narrow promontory, a stone’s throw away from both the Atlantic Ocean and the Benya River. The lee of the low headland provided an excellent natural harbour. The main Dutch trades were gold and slaves; they reconstructed the castle between 1770 and 1775. Until 1872, the castle served as the focal coordinating point for Dutch Gold Coast activities. In 1682, the author Jean Barbot described St. George’s Castle as having ‘no equal on all the coast of Guinea, with respect to beauty and strength. (Date and “official” Numbers). Not counted the many, many people, who died before! 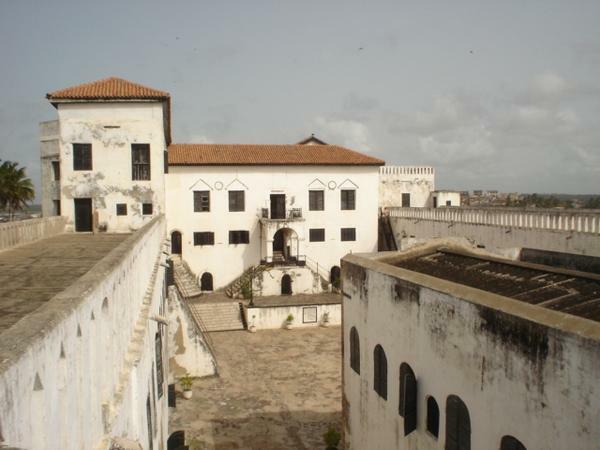 Visit the St. George’s Castle Museum is located within St. George’s Castle (often called ‘Elmina Castle’), a fortress in the Central Region. This museum was established in 1996 through the joint efforts of GMMB, the United States Agency for International Development and the Mid-West Universities Consortium for International Activities. The purpose of the museum is to educate the public on the history of St. George’s Castle, as well as to preserve the cultural heritage of the Central Region. Exhibits include: photographs representing the images of St. George’s Castle across the centuries; displays on the Asantes of Elmina, and on local trading activities with the Europeans; gold weights; shackles; murals; local textiles, stools, stone implements, ceramics, bottles, clay, glass and beads. The museum provides tours of St. George’s Castle. Visitors may absorb the sights of the former storehouses and slave dungeons, chapels and governor’s chamber. Another scene of interest is the cell where a King of Asante was once held prisoner. Visitors will also be afforded the opportunity to capture some bird’s eye photographs of the surrounding harbours, fishing boats, and the nearby Fort St Jago, all from the battlements of the four-storey St. George’s Castle. After a tour of the castle, a chance to rejuvenate is on hand at the museum’s restaurant and bar. A bookstore and a gift shop are also available, and the museum provides visitors with access to a car park. There is an open courtyard for outdoor activities. The museum’s opening hours are 9:00am and 4:30pm daily.